Larry has been working in the mental health and substance abuse field for approximately thirty years and in that time has gained the reputation as a well respected professional in the community. Larry received his AA degree from North Central Michigan College, his BS degree in sociology / psychology and a masters Degree in Clinical Psychology were earned from Central Michigan University. Larry completed internships at Dow Chemical Corporation in Midland, Michigan in Industrial Psychology and Ingham County Community Health in Lansing, Michigan in substance abuse and mental health therapy. Larry is also licensed as a certified psychologist examiner and for a number of years contracted with The State of Michigan and the Court / corrections system for Psychological testing. Larry has worked in all capacities as a psychologist including outpatient and inpatient therapy, with adults, children, adolescents and couples as well as families. Fore several years Larry has participated in the “emergency on-call system.” Larry has also held positions in management and supervision including Director of Woodland Counseling Center. 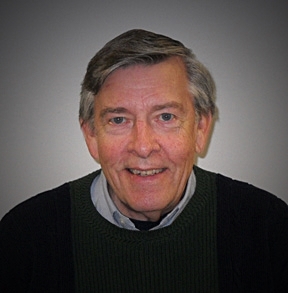 Larry worked as a staff psychologist in the Department of Psychiatry at Burns Clinic Medical Center for ten years. Larry was able to establish a network of trust with other agencies in the community, and served on many boards and committees with the focus on excellent mental health and substance abuse treatment services provided to the community. Larry presented various seminars and lectures to the community which included contracting with the Northern Michigan Hospital Community Foundation. He volunteered many hours to various support groups; including Hospice, training citizens interested in becoming volunteers for that organization. Local and state wide companies were contacted for Employee Assistance Programs and he has provided many of those services on site. For several years, Larry was involved in the Little Traverse Leadership program, where lectures on values, ethics, and communication skills were presented. In 2004 Larry was nominated by the American Red Cross as citizen of the year. In 2006, Larry took an early retirement due to serious medical complications, but has since made a full and healthy recovery and is currently working part-time at Harbor Hall Outpatient doing assessments, facilitating groups including a weekly group at the Emmet County Jail and Transitional House at Harbor Hall Residential, also Family Wellness Group. Larry brings a wealth of experience to his position and is known for his patience and sense of humor in dealing with the various stressors presented each day.